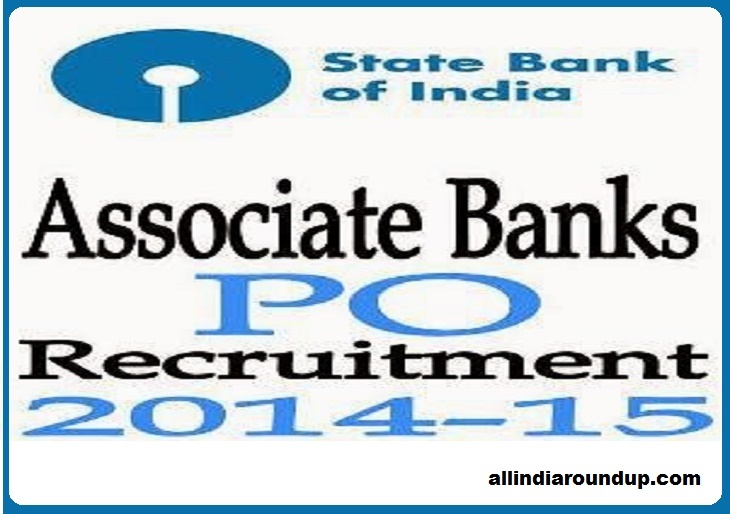 State Bank of India (SBI) issued Recruitment notification of Probationary Officers (PO) for fill up total 3410 (2986 Regular and 424 Backlog) Vacancies in Associate Banks of State Bank of India. Online Registration start from 1st September 2014 and end on 18th September 2014. 21 to 30 Years as on 1st September 2014. Age Relaxation – 05 Years for SC/ST, 03 Years for OBC. => Graduation in any discipline or equivalent qualification from a recognised University and also recognised as such by the Central Government. Examination consisting Objective Tests for 200 marks and Descriptive Test for 50 marks. The Objective Test will be online. Immediately after the online Objective Test, Descriptive Test will be administered. Questions relating to Descriptive Test will be available on computer (Online) and candidates will have to write the answers on the answer sheet (Offline) provided to them on Paper/Pen mode. ‘Test of English Language (comprehension, short precis, letter writing A essay)”. The candidates are required to qualify in the Descriptive Test by securing passing marks, to be dedded by the Bank. Group Discussion (20 marks) & Interview (30 marks). The aggregate marks of candidates qualifying in both the Objective Tests and Descriptive Test will be arranged in descending order in each category. Adequate number of candidates in each category, as decided by the Bank will be called for Group Discussion and Interview. The qualifying marks in Group Discussion & Interview will be as decided by the Bank. The candidates will have to qualify both in Phase-I and Phase-ll separately. Marks secured by the candidates in the Written Test (out of 250 marks) are converted to out of 75 and marks secured in Group Discussion & Interview (out of 50 marks) are converted to out of 25. The final merit list is arrived at after aggregating converted marks of Written Test and Group Discussion & Interview out of 100 for each category. A Non-Refundable fee of Rs.100/- (Intimation Charges only) for SC /ST / PWD Category; Rs.500/- for all other category candidates. The fee pay through Online (using debit card/ credit card/Internet Banking) or Offline Mode (Prescribed Challan). Eligible Interested Candidates Apply Online through official website from 01/09/2014 to 18/09/2014.